This entry was posted in celebrity, Fit, Fabulous & Famous, Uncategorized, womens health and tagged 21, adele, confidence, famous, fit, LabRat Music by fitnesslabrat. Bookmark the permalink. Nowell! I’m so sorry not to have responded sooner! I LOVE what you’ve done with the background, so beautiful and it definitely catches readers eyes! 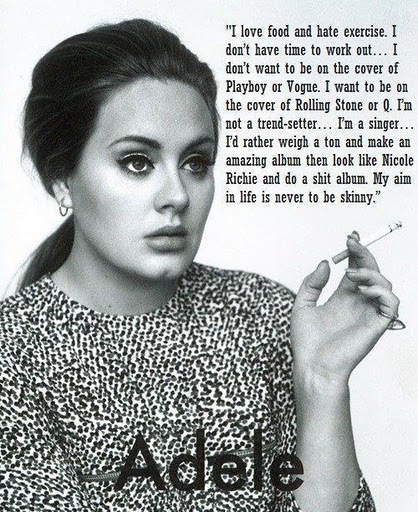 I love Adele and her soulful voice. You’re so right, her singing shows what emotional balance/fitness she has. What a lovely post! Thanks for stopping by again!!! !